Circus Futures offers a free performance of Circus Next Laureates Circus Katoen. 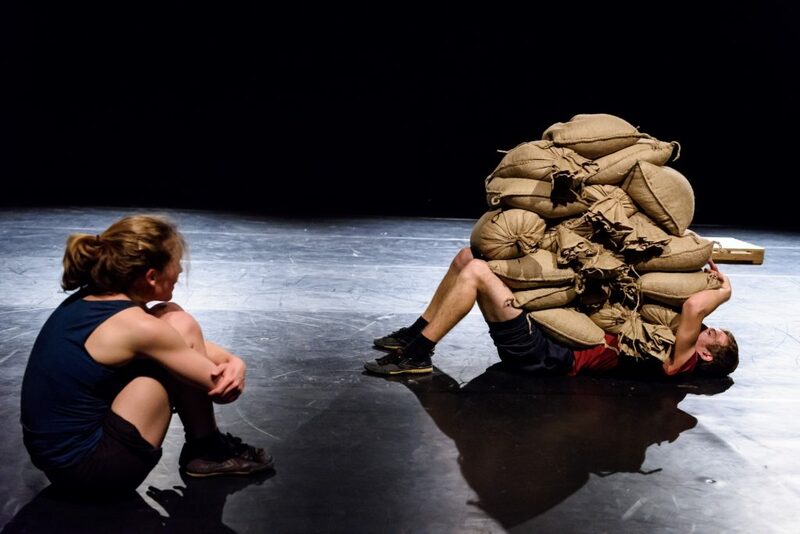 In “As Heavy As It Goes” Circus Katoen explore different aspects of physical labour. With the weight of 18 heavy bags as starting material they seek to redefine their circus practice. “As Heavy As It Goes” is a composition of organising and disorganising, carrying and dropping and giving attention to finding playfulness when pushing their physical limits. Weight has always been a key element in Circus Katoen’s practice, especially working with the equilibrium of their two bodies. With this performance they purposely grotesquely elaborate this element by using the heavy bags as a challenge.